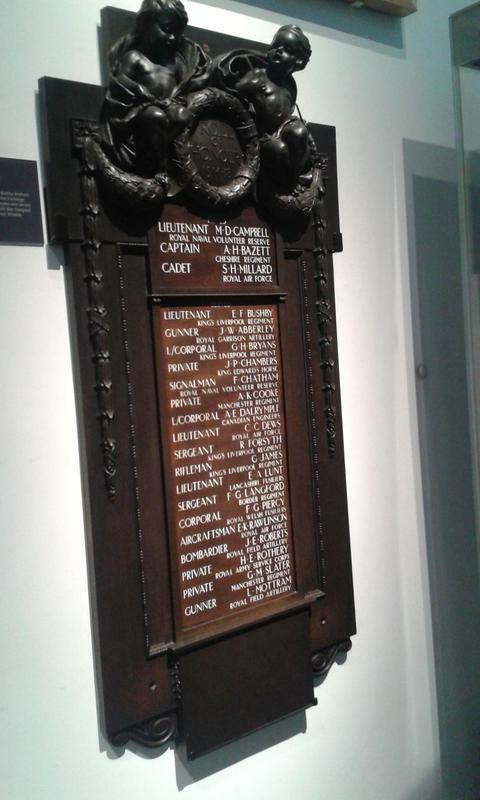 Rectangular wooden board with ornamentation at the top including two cherubs which flank a laurel wreath with the words "Roll of Honour 1914-1918" inscribed within. 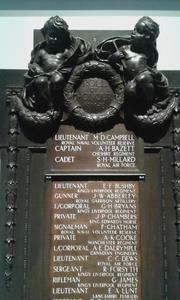 The wreath is adorned with a garland which descend the two sides of the memorial. 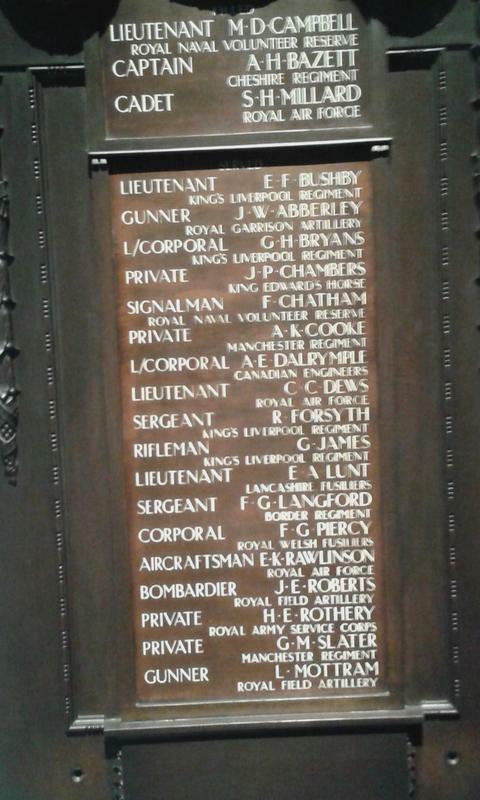 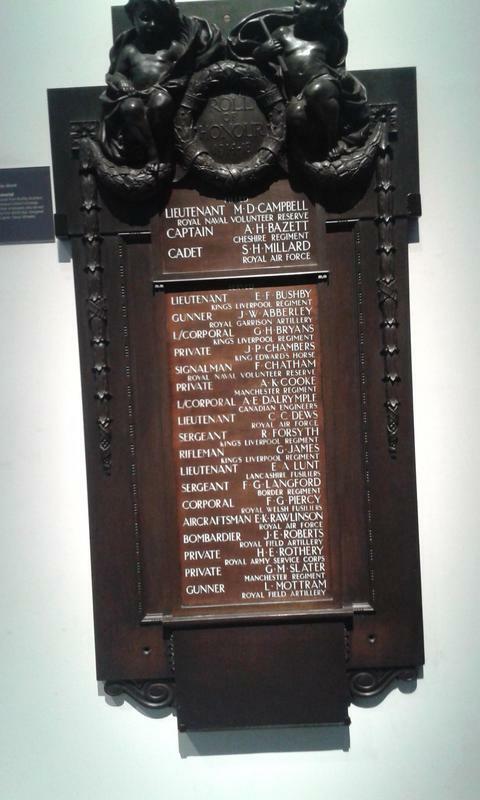 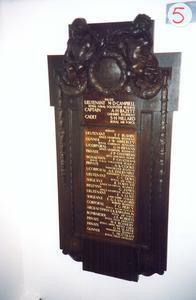 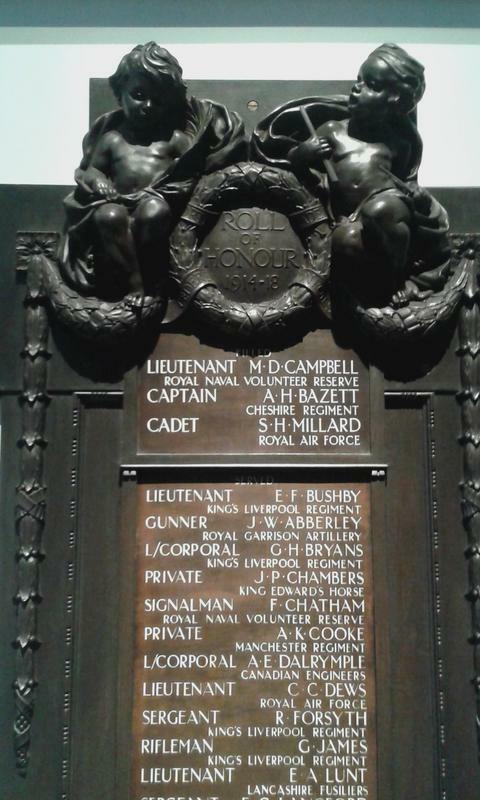 Below the wreath is an inset panel which has the names of those who served inscribed in white lettering. 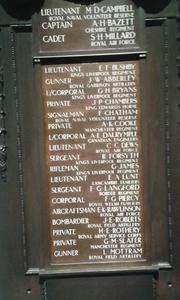 There is a small rectangular plaque alongside explaining the origins of the memorial.